We are in the process of transferring servers. Please be patient with us as we try to make this transition as painless as possible. Some of the widgets didn’t save properly, and I will be replacing those in the next couple of days. Sorry about that. Most of the media saved, thankfully. May God bless you and everything you do. This entry was posted in Thankful and tagged Server on March 18, 2014 by Rusty Russell. I spent nearly a decade on active duty in the US Navy. I saw more than my share of failed marriages. Many never even knew God. I have been married to Sara for over a decade now. We have had our rough seas, but we have made it through, and I can’t help but think that it’s because we’ve had God guiding one or both of us. Far too many men think that “I am married, so she does what I say, and that is that!” Boy, are you wrong! The vast majority of failed marriages are because one or both of the participants don’t think the other is pulling their share. A lot of the times it’s the men that think they are entitled to a hot meal when they get home, a cold beer, and an uninterrupted game on the tube after. Wrong again! If you want to make a marriage work, then you need to approach it the way Jesus approached his bride, the Church. He didn’t demand anything from her. On the contrary, he helped her, washed her, got her ready, and then when she was clean and dressed in the purest of linens took her as his bride, in front of the whole world. He made this promise, everlasting, so that we would know what we should model our relationships after. All we have to do is be willing to put our mate first. If you want your spouse to do it for you, then you should be willing to do it for them!!! I can’t say that enough. In our house, Sara tends house and raises the girls. I have to work outside the home. If she wanted to swap, I would be happy to let her, and she knows it. I also know, that if I can’t take people anymore, that she is willing to go back to work and I can stay home. We both help out with the farm chores. We both take care of the girls when we can, but for the ten to twelve hours a day that I am gone, it’s her. She’s pretty good at it, and I don’t tell her often enough. This entry was posted in Bible, Marriage and tagged Bible, God, Jesus, Love, Marriage on January 27, 2014 by Rusty Russell. 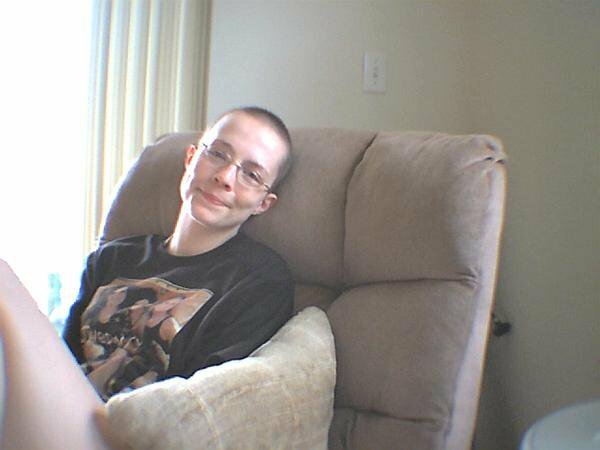 A picture of Sara, about four months after her last round of chemo nearly killed her. Many of you don’t know me. You probably know of me, though. 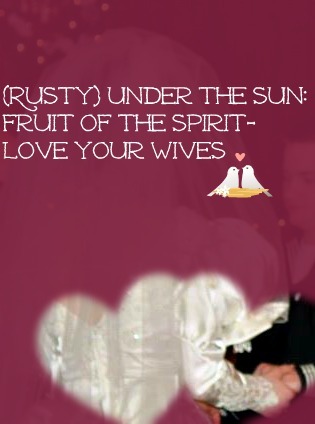 My name is Rusty, I am Sara’s husband, and webmaster for the site. At the beginning of the month, Sara approached me and asked me if I would write a piece for her month of thankfulness. Well, here it is. One of the things that I am most thankful for is my wife. Read on to find out why. Love. Sara has it in spades. 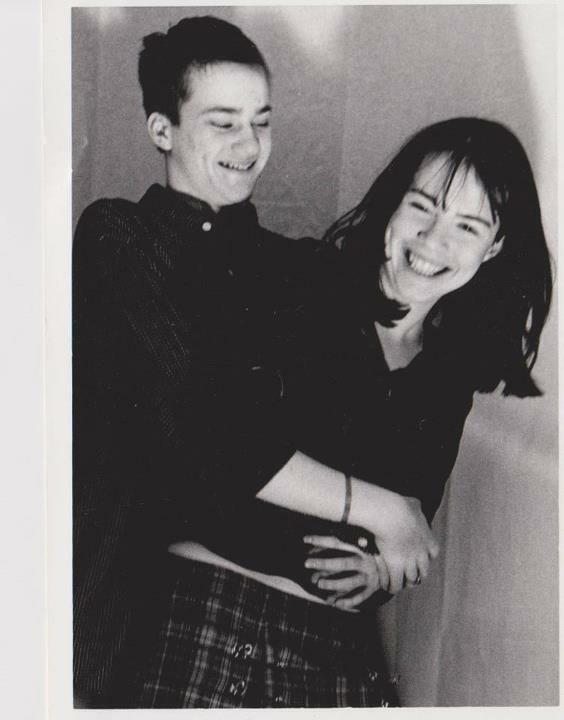 When we first met, we were both teenagers. Being the young introvert that I was, I always did my best to drive people away. I had a few friends, and Sara was only my third girlfriend. I knew I liked her, but had no way to show it, and tried to push her away a great many times. Early in our relationship, she had decided that she loved me. I don’t know how, she had met my family, and even spent a great deal of time at my house. Either way, it was because of her love that she stuck by, even when I made some bonehead mistake, or hurt her feelings. Even today, you can see how much she loves based on her interactions with our daughters. You can see it when she talks to the neighbors, or even to complete strangers. 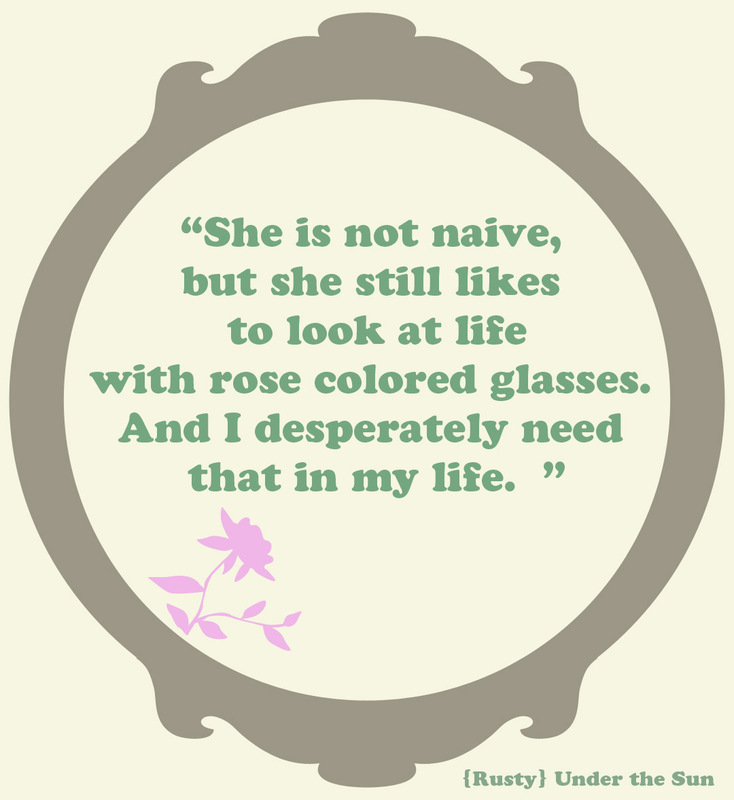 She is not naive, but she still likes to look at life with rose colored glasses. And I desperately need that in my life. She always knows when to give me space, or when to say something. My wife is strong. Now, I know, a lot of you are likely thinking “all women are strong,” or “my wife has had X kids, naturally,” or “I have four kids and a full time job.” I get it. No woman has it easy when they decide to partner up with just about any man. As a veteran in the U.S. Navy, and having served with the U.S. Army, too; I know my share of strong women. But I need to tell you, my wife takes the cake. She miscarried about a year after we started dating. Then again, seven months after we were married. As far as things go, the two were not that bad. No hospitalization, just a check up with the doc, and some pain meds, and things happened naturally. Now, the second miscarriage might have been a blessing in disguise. After nine months of marriage, we discovered that Sara had a severe form of Osteosarcoma. The form of cancer she had was fairly rare. We were told that there was about a 1 in 3 fatality rate, but that it was discovered early enough, and that the long term survivability rate is nearly 7 in 10. When they biopsied the tumor, they did not find any concern to merit chemotherapy, so, they did the surgery on 7th September, 2004. They removed 95% of her left humerus (the upper arm bone), and inserted an endoprosthetic made of a titanium / magnesium alloy. The surgeon that performed the surgery didn’t feel it was necessary to attempt to sew the muscles back together so that she would have any motion afterwards. Which means her arm now hangs limp at her side. Nine years later. She manages though, quite well, I might add. About two and a half weeks after the surgery, the doctors came back and told us that over a third of the tumor had, in fact, been ‘high grade cancer’ as they termed it. Which meant that if one cell had left the tumor and stopped somewhere else in her body, it would form a new tumor there. Most often, it hits the lungs first, which has a higher mortality rate. So, ‘we’ started chemo. Sara was supposed to get eight rounds of chemo, but, due to complications, only received seven. The last one almost caused her to develop leukemia, cancer of the blood. She spent two weeks in isolation. She couldn’t have flowers, or fresh fruits or vegetables. She quite literally had no immune system to speak of. When the doctor told her that the treatment for it is more chemo, she said she would not be doing any more. I was devastated, but she assured me that she would be fine, and she got better. All this chemo, while it may have saved her life, had cause her body to go into menopause. If you read yesterday’s post, you already know that Sara beat menopause, too. There is not much she can’t do. I love her more and more each day, and I am ever so thankful that the Lord saw fit to partner me up with her. She supports all my crazy ideas, like the fact that my garage is a haphazard machine shop while I build my CNC machine. She has followed me to four duty stations, five deployments, the last of which she had a four month old and a two year old. She followed me back to Michigan when I separated, and most recently, here to Alabama, so I can work for NASA. I love you, Sara, and I am happy to let the whole world know it! If this post touched your heart. Or you enjoyed it for any reason, please share on Facebook, Pinterest, Twitter, or any where really. This entry was posted in Marriage, Thankful and tagged Cancer, challenge, Children, Love, Marriage, November, Thankfulness, Thanksgiving on November 19, 2013 by Rusty Russell.